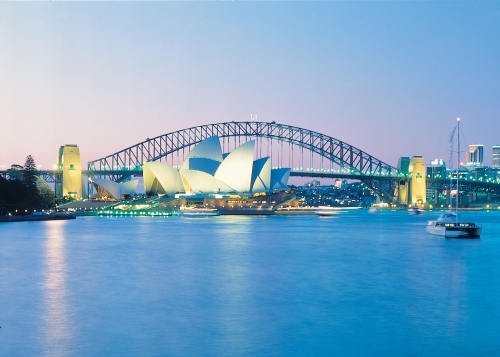 Depart Sydney this morning and travel through the rolling hills and verdant pastures of the Southern Highlands. Pause at historic Berrima to see its convict-era sandstone gaol, then visit Gold Creek Station to meet a local grazier and enjoy a barbecue lunch. Gold Creek is a working pastoral property that currently runs merino sheep and beef cattle. On arrival in Canberra join a local guide for a tour of Parliament House, the seat of the nation’s government. 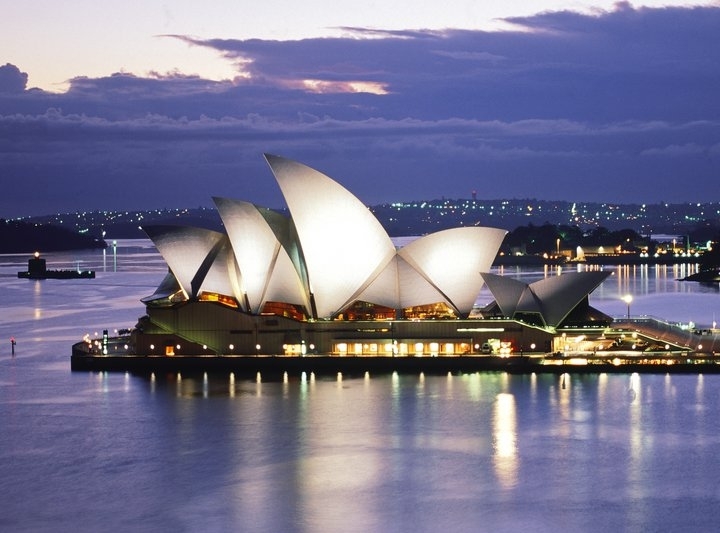 Built almost entirely of Australian materials, 10,000 people worked its construction. 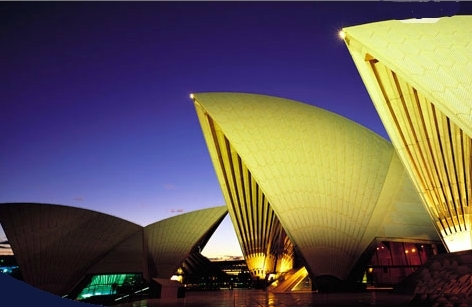 Then visit the Australian War Memorial, which brings together a world-class museum, a shrine and an extensive archive. Hear an evocative lament before departing for your hotel. Get to know your Travel Director and fellow travelers tonight over a shared dinner. 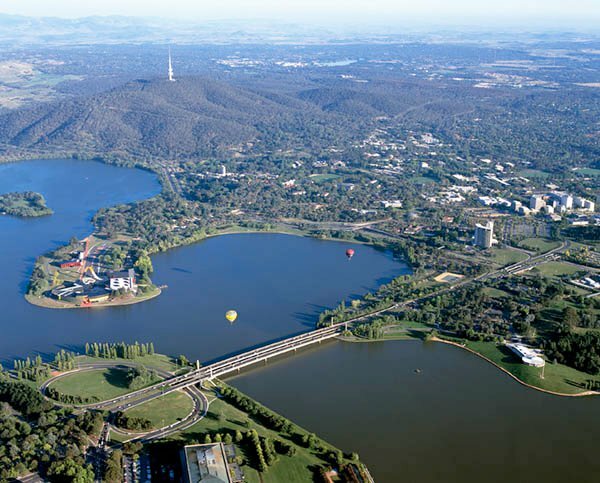 The site of Canberra was selected for the location of the nation’s capital as a compromise between rivals Sydney and Melbourne. 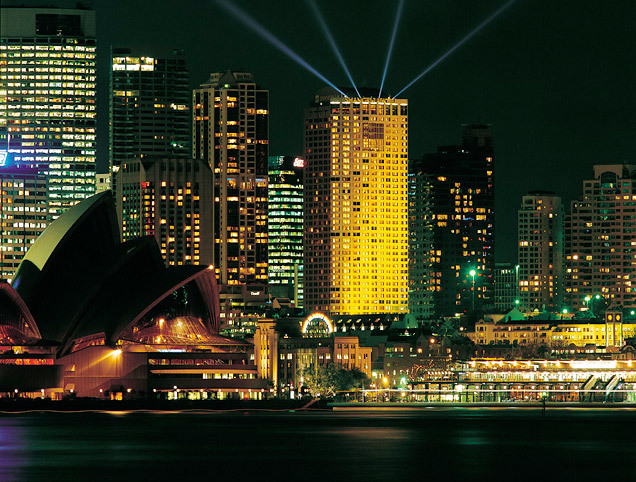 It’s unusual among Australian cities, being an entirely planned metropolis outside of any state, similar to Washington DC in the United States. Following an international contest for the city’s design, a blueprint by American architects Walter and Marion Burley Griffin was selected and construction commenced in 1913. Before leaving this morning, drive to the summit of Mt. Ainslie to experience panoramic views of the city and surrounds. Cross the mighty Murray River into Victoria, taking the scenic route to historic Beechworth, Victoria’s best-preserved gold-rush town. Forested ranges, placid lakes, wild rivers and tranquil rural farmlands characterize this region, whose towering mountains are snow-capped in winter. Take an orientation tour of Beechworth before enjoying some free time to explore the antique shops, galleries, museum and historic hotel. Your accommodation tonight is at one of the town’s unique bed-and-breakfast properties. Join your B&B host for a Be My Guest breakfast this morning before traveling to historic Glenrowan, famous as the site of the last stand of bushranger Ned Kelly, who was eventually captured there in 1880 after a siege and shootout with police. 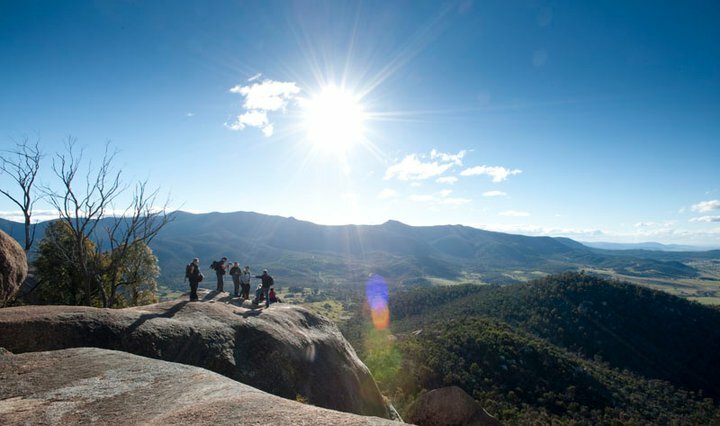 Travel on through Kelly country to the southern capital of Melbourne. Stylish, arty Melbourne is both dynamic and cosmopolitan, and it’s proud of its place as Australia’s sporting and cultural capital. 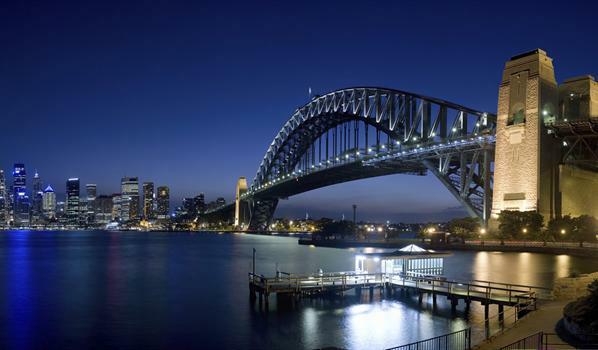 Gain some interesting insights on an orientation tour of the city. Perhaps later go for a stroll along the Yarra River to Southbank, Melbourne’s bustling waterfront hub, which is renowned for its restaurants, public art and stylish retailers. Why not enjoy dinner this evening at one of its stylish eateries? 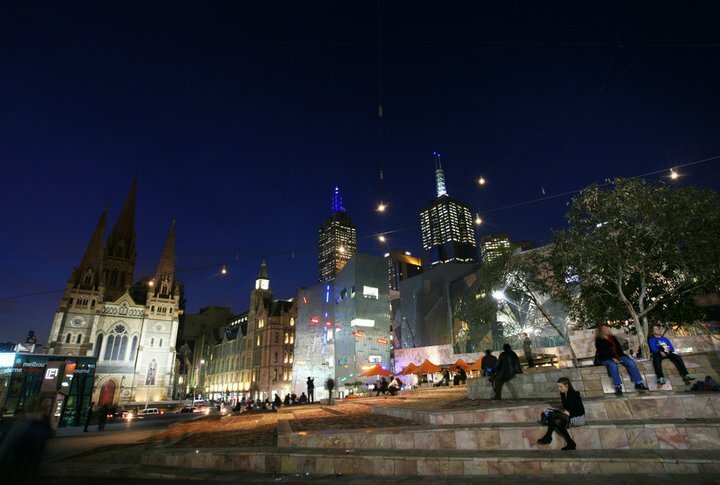 It’s long been felt that Melbourne’s inner city is the most European of any in Australia; the leafy eastern section of Collins Street was dubbed the ‘Paris end’ in the 1950s. There’s a bit of New York in the mix as well, thanks to the city’s well-ordered grid and scattering of grand art-deco buildings. 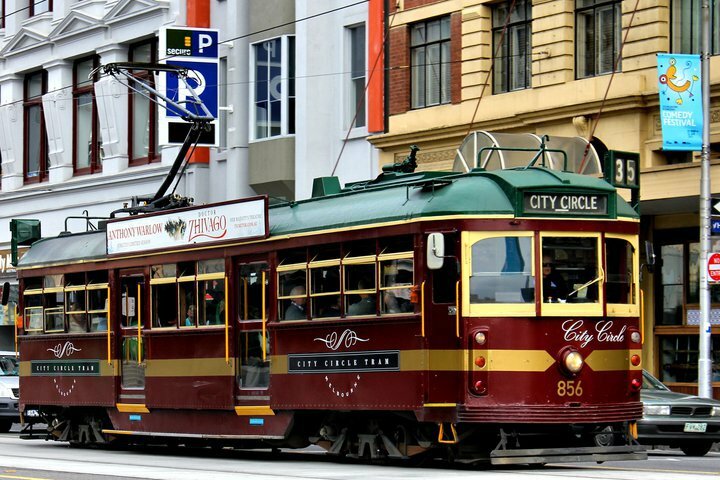 Today Melbourne is yours to explore, so why not consider one of the following optional experiences. 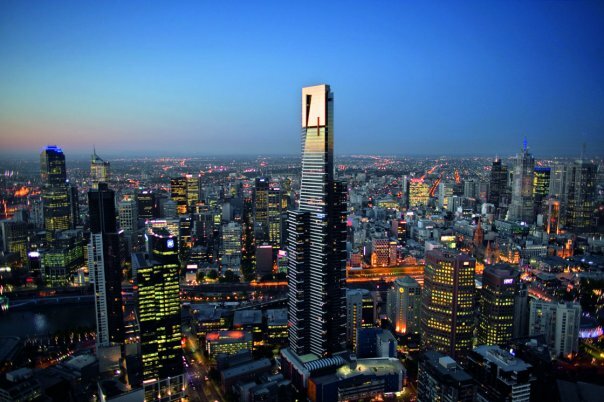 You could explore Eureka Skydeck – the southern hemisphere’s highest viewing platform – for stunning 360-degree views of the city. 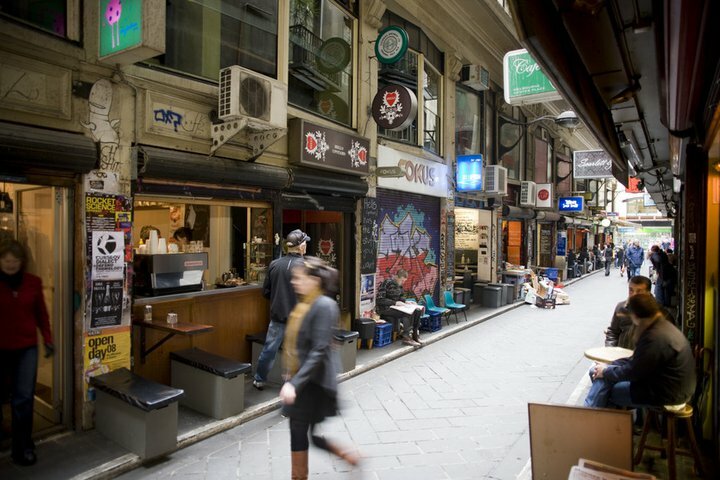 Away from the hustle and bustle, Melbourne’s justly famed 230 laneways penetrate into the heart of the city. It’s here that the inner city’s true nature resides, crammed into narrow lanes with world-beating restaurants, bars and street art. 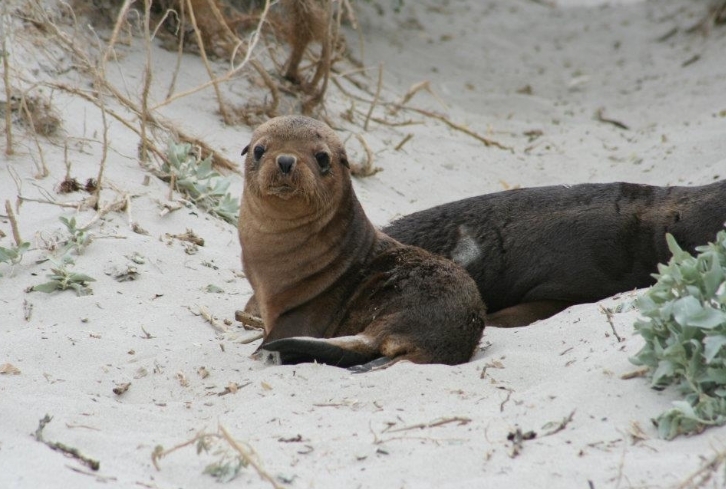 Or if you would like to see something famous then why not take a tour to Summerland Beach on Phillip Island to witness the Penguin Parade, the nightly ritual where the little penguins emerge from the sea and waddle up the beach to their dune burrows. 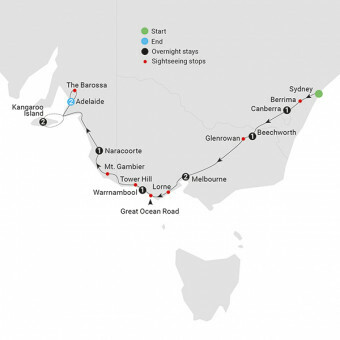 Depart Melbourne this morning to embark on one of the world’s premier road trips – the Great Ocean Road. 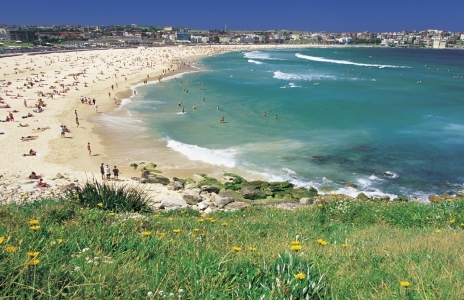 Enjoy spectacular coastal scenery, pausing in the quaint seaside towns of Lorne and Apollo Bay. During the first weekend of January over 20,000 spectators visit Lorne when the town hosts the 1.2 km Pier to Pub swim (described in The Guinness Book of Records as “the largest organized ocean-swim in the world”). Just off shore in the Port Campbell National Park, the towering limestone stacks of the Twelve Apostles rise 50 meters above the wild Southern Ocean. This natural theater of stone, sea and sand is very dynamic: on 3 July 2005, one of the stacks collapsed, leaving eight remaining. It’s predicted that more stacks will emerge over time as a result of the erosion that formed the original twelve. You’ll also see nearby Loch Ard Gorge and learn of its heartbreaking history of shipwreck and survival, and visit the impressive London Bridge natural rock formation before arriving in the rural town of Warrnambool. This morning, visit the Worn Gundidj Aboriginal Co-operative at Tower Hill State Game Reserve. Tower Hill, an extinct volcano, is one of the most fascinating geological formations in Victoria. Within the crater, there is a series of small cones and islands surrounded by a crater lake. Your guide will provide you with an Indigenous perspective on the area’s flora, wildlife and volcanic formations as well as insights into bush medicine. Cross the border into South Australia, stopping in Mt. Gambier to see the mysterious Blue Lake, then continue to the world-renowned Coonawarra wine region, pausing at a vineyard for a tasting. Before arriving in Naracoorte you’ll be joined by a local expert for a guided tour through the Alexandra Cave. Journey today to the Fleurieu Peninsula, whose green hills are complemented by rugged clifftops, sandy beaches and the winding Murray River. Visit the charming seaside town of Victor Harbour, one of South Australia’s most popular coastal playgrounds and a favorite family holiday destination since the late 1800s. 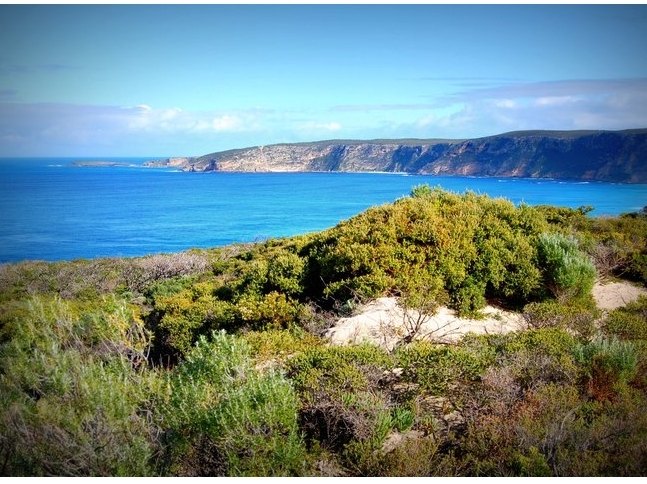 This afternoon, a ferry takes you to Kangaroo Island, famous for its unspoiled natural beauty and fine produce. Kick off your island adventure with a visit to South Australia’s only boutique distillery to taste a selection of their handcrafted premium spirits. All the spirits are handmade onsite so you’ll be able to smell the aroma of botanicals, citrus peel, or even fennel lingering, as you taste the award-winning Australia gin and delicious liqueurs. Your final destination is South Australia’s largest town, Kingscote. The state’s oldest European settlement, it’s home to a colony of the smallest penguins in the world, the Little Penguin. 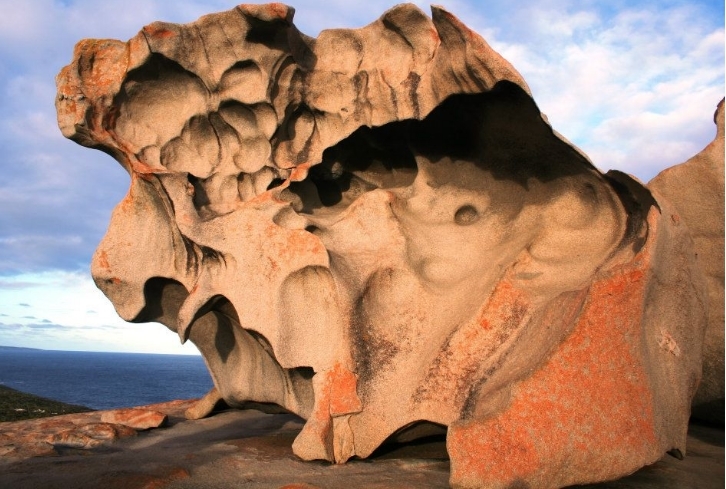 Begin your exploration of fascinating Kangaroo Island today with a visit to the spectacular Remarkable Rocks, and later Admirals Arch in Flinders Chase National Park. It took thousands of years of erosion to create the Arch, a distinctive rock bridge near the Cape du Couedic Lighthouse on the island’s southwest coast, and the boardwalk leading to it is nearly as scenic as the landmark itself. You will then enjoy a sumptuous lunch behind the sand dunes at Vivonne Bay Lodge before heading over to partake in a private Birds of Prey show at Raptor Domain! Put on a glove and have one of the many birds fly to you including kookaburras, owls and falcons or experience holding a wedge tailed eagle and some amazing Australian reptiles. This experience is interactive, educational and fun. This morning board your ferry to cross back to the mainland and travel to picturesque Adelaide, the ‘City of Churches’. One of the few Australian cities to not have convict history, Adelaide was established as a planned colony of free immigrants, promising civil liberties and freedom from religious persecution. 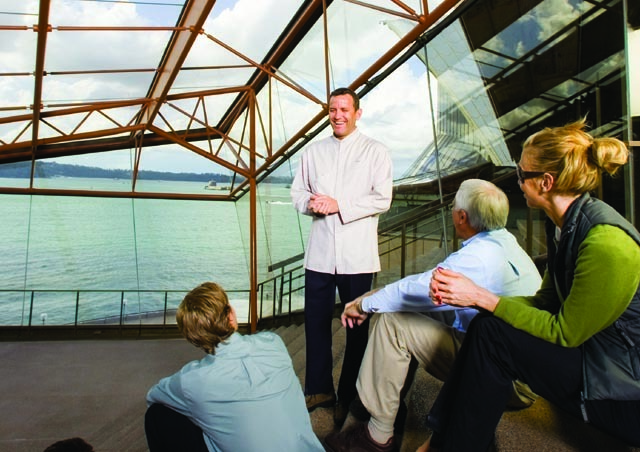 Take an orientation tour with your Travel Director before checking in to your hotel. 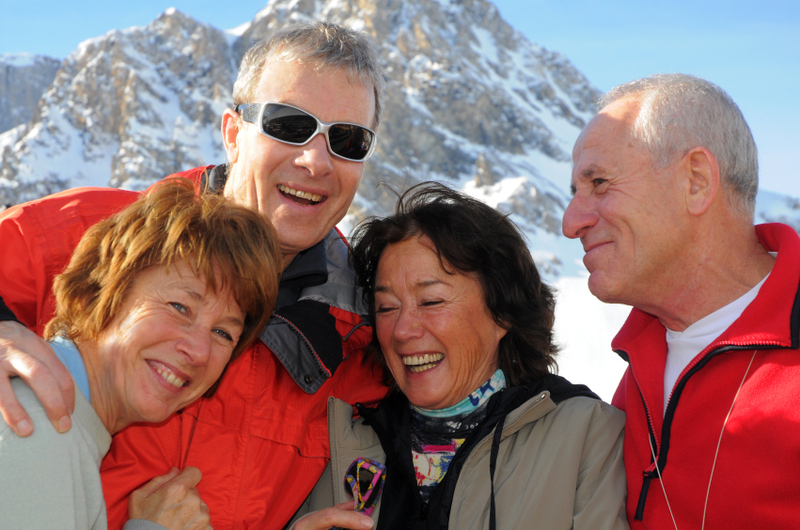 This afternoon choose one from a selection of Included Choice sightseeing experiences. 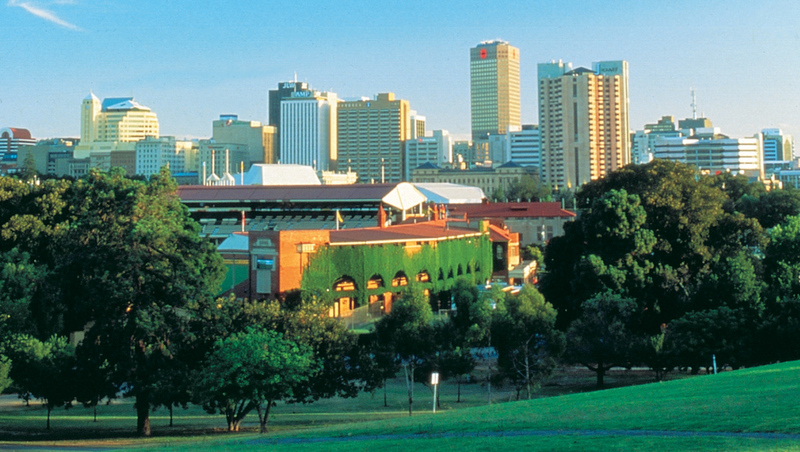 Visit Adelaide Zoo including entry to the Panda enclosure and bamboo forest attractions, hear fascinating stories about the early history of Adelaide and its colonial characters on an Adelaide guided walking tour or visit the Art Gallery of South Australia to see its collection of old and new art. 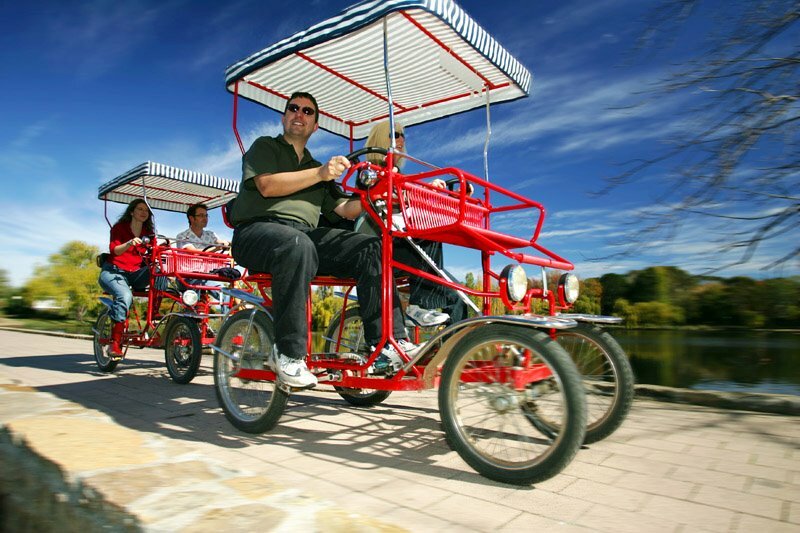 Discover the rolling Adelaide Hills and world-famous Barossa Valley today, stopping first at picturesque Hahndorf, Australia’s oldest surviving German settlement. Experience its charm and hospitality as you wander down the tree-lined streets and take time to explore the quaint shops and taste some of the town’s artisan produce. Continue to the Barossa for lunch at The Company Kitchen before visiting Jacob’s Creek to sample some of their world-famous wines. Travel back to Adelaide through a tranquil landscape dotted with stone cottages, olive groves and wineries, and join your Travel Director and traveling companions this evening for a Farewell Dinner. After an indulgent time away, it’s time to bid farewell to your fellow travelers when your holiday concludes after breakfast. Not ready to head home yet? 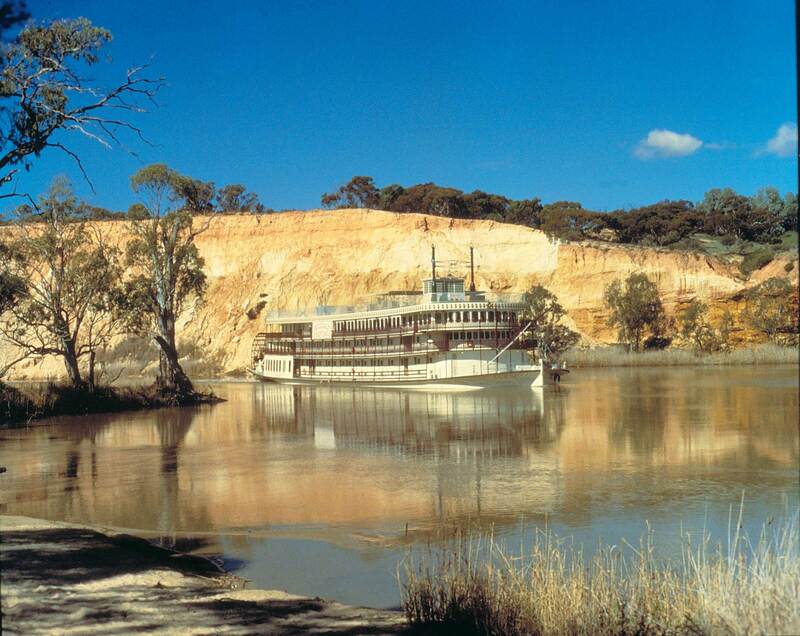 Why not consider a 3 night cruise on the Murray River aboard the PS Murray Princess.